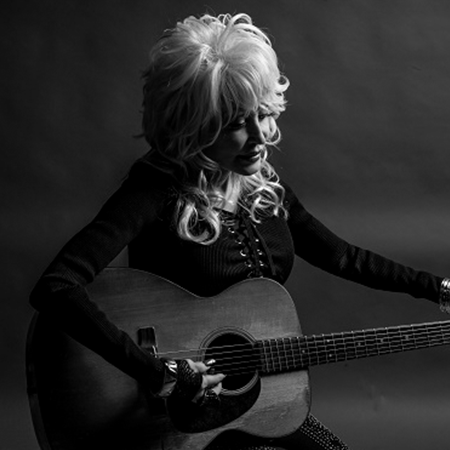 Eight-time GRAMMY® winner Dolly Parton will be honored at the 2019 MusiCares® Person of the Year tribute on Friday, Feb. 8, 2019, it was announced today by Neil Portnow, President/CEO of MusiCares and the Recording Academy. Proceeds from the 29th annual benefit gala will provide essential support for MusiCares ( www.musicares.org), a charity founded by the Recording Academy that ensures music people have a place to turn in times of financial, medical, and personal need. The tribute will be held at the Los Angeles Convention Center two nights prior to the 61st Annual GRAMMY Awards®. The celebration culminates with the 61st Annual GRAMMY Awards at STAPLES Center in Los Angeles on Sunday, Feb. 10, 2019. The telecast will be broadcast live on the CBS Television Network at 8 p.m. ET/5 p.m. PT.Established in 1989 by the Recording Academy, MusiCares offers health and human services and programs to members of the music community, including emergency financial assistance for basic living expenses such as rent, utilities, and car payments; medical expenses, including doctor, dentist and hospital bills; and treatment for HIV/AIDS, Parkinson’s disease, Alzheimer’s disease, hepatitis C, and other critical illnesses. MusiCares offers nationwide educational workshops covering a variety of subjects, including financial, legal, medical, and substance abuse issues, and programs in collaboration with health care professionals that provide services such as flu shots, hearing tests, and medical/dental screenings. MusiCares provides access to addiction recovery treatment and sober living resources for members of the music community. Staffed by qualified chemical dependency and intervention specialists, MusiCares offers Safe Harbor Room® support, sponsored in party by the Bohemian Foundation, to provide a network to those in recovery while they are paraticipating in the production of televised music shows and other major music events. MusiCares holds weekly addiction support groups for people to discuss how to best cope with the issues surrounding the recovery process. MusiCares at 310.392.3777 or [email protected].